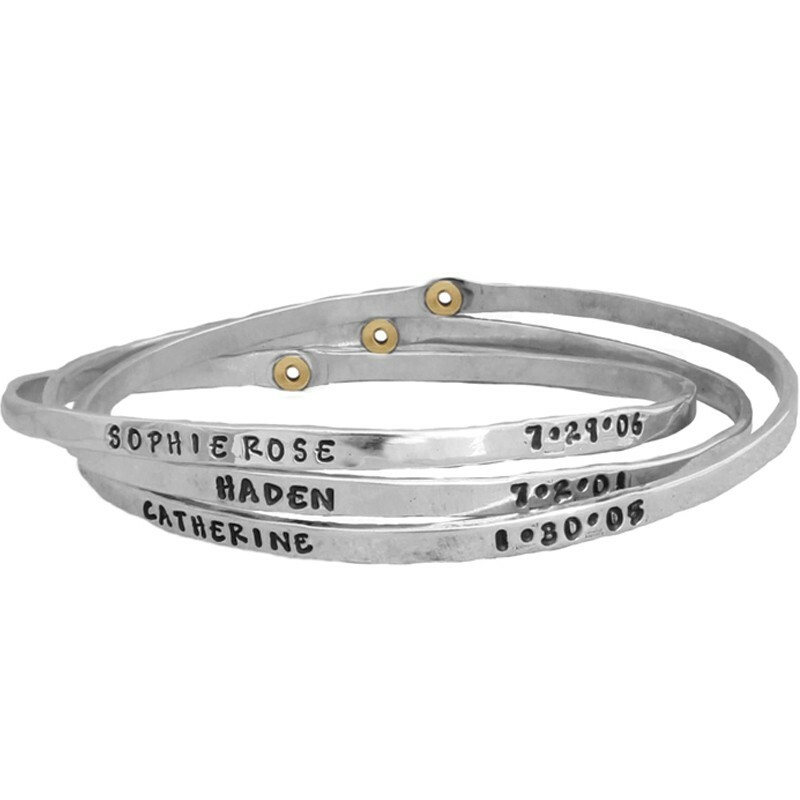 Our triple bangle custom bracelets have been a one of our most popular items. 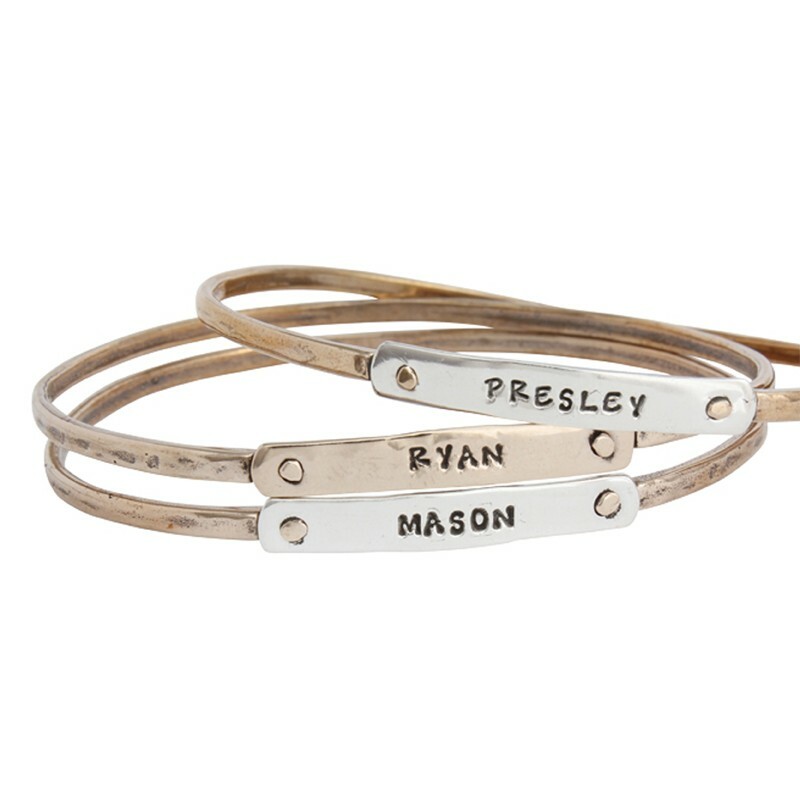 Whether you're creating a family bracelet for mom with all of her loved ones, or looking for the perfect gift, this piece of customized hand stamped jewelry is sure to make quite an impression. 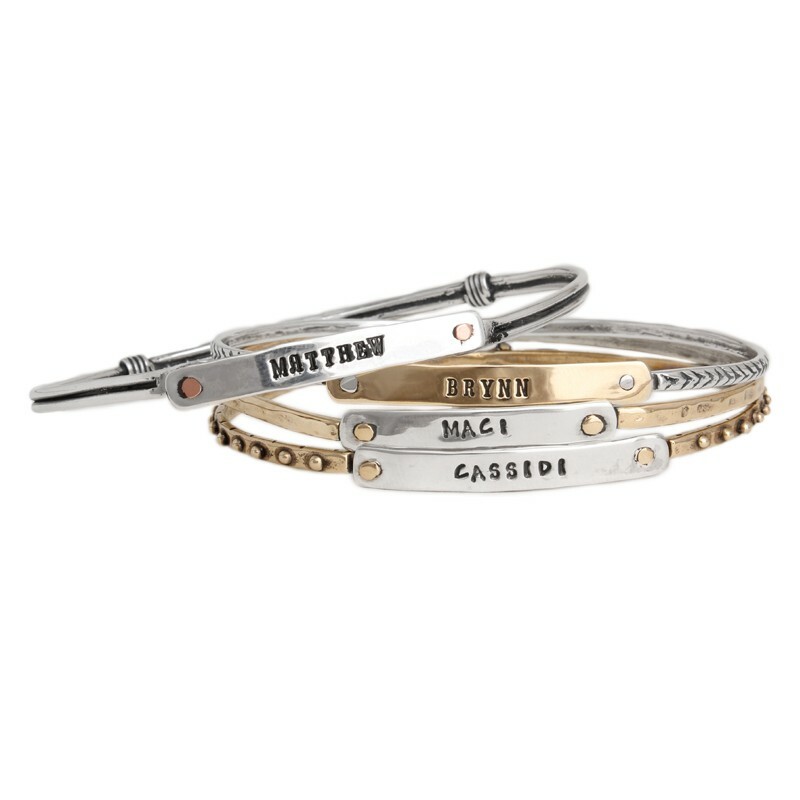 You can stack up the love with a set of three Beloved Bangles or celebrate the special moments with the triple Moment in Time bracelet. 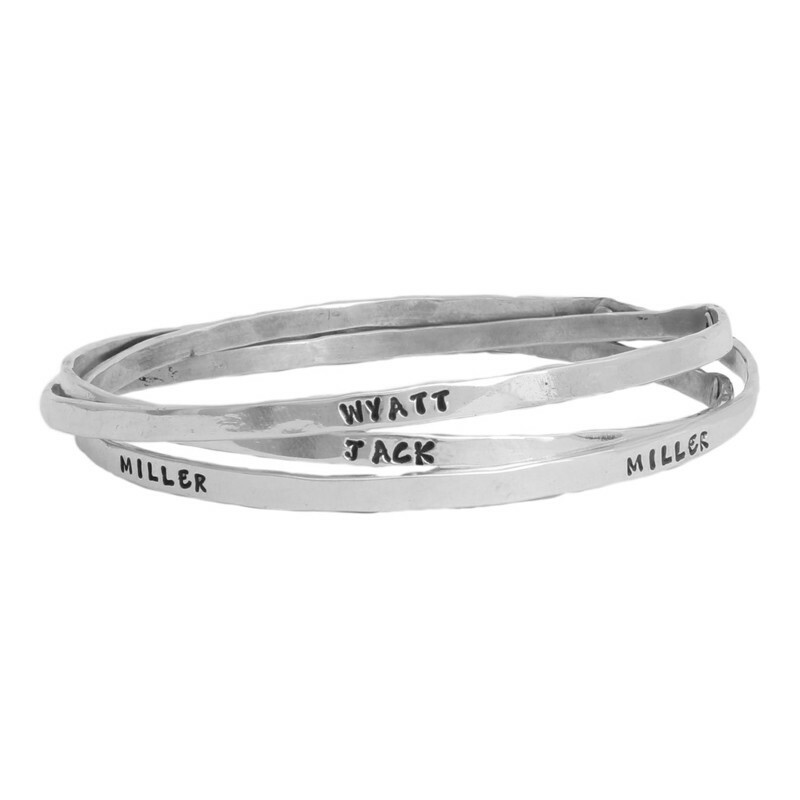 Show her how special she is by giving her some unique jewelry, such as our hand stamped, personalized bracelets.